Download "A Teacher s Guide. by JAMES E. McGLINN"
2 2 INTRODUCTION The American Arab Anti-Discrimination Committee Research Institute (ADCRI) surveyed the experiences of the Arab American community in the year after the September 11 terrorist attacks ( They found that over 700 violent incidents targeting Arab Americans, or those perceived to be Arab Americans, Arabs, and Muslims occurred in the first nine weeks following the attacks, including several murders. They also counted over 800 cases of employment discrimination against Arab Americans, which was about a four-fold increase over previous annual rates. According to an NBC News report, Islamophobia in America continues unabated. In 2016, hate crimes against Muslims were almost five times more frequent than they were before 9/11 ( Before 9/11, the FBI reported specifically anti-muslim hate crimes each year. During 2001, this number rose to almost 500, and since 2001, there have been anti-muslim hate crimes annually in America ( These disturbing statistics underline author Moustafa Bayoumi s desire to tell the stories of young Arab and Muslim Americans. His goal was to go beyond stereotypes of Arab Americans. He cites a 2006 poll in which 39% of Americans indicate that they believe all Muslims, including U.S. citizens, should carry special IDs (p. 3). This view reveals an ignorance about the vast majority of Muslim and Arab Americans. The seven portraits Bayoumi presents in this book show the common humanity of these young people attempting to live their lives in an atmosphere of suspicion and, sometimes, open hostility. This book is appropriate for both a high school and a college audience. It presents themes pertinent to students the search for identity, the need for respect, the challenges faced by those who are stereotyped or face prejudice and discrimination because of differences in their skin color, culture, or religion. In addition, this book includes interesting historical context in a style that is accessible to a wide range of readers. The activities in this guide are a resource for planning to teach some or all of the portraits included in the book. Pre-reading activities prepare students to reflect on and discuss the issues presented regarding the Arab American experience. During Reading Activities encourage students to read carefully and analytically. Post-Reading Activities engage students in re-reading to deepen analysis and provide opportunity for discussion. BUILDING CONTEXT 1. Anticipation Guide Survey class opinions about issues faced by Muslim and Arab Americans with an Anticipation Guide. Students should react to each statement on a scale of 1 5 with one representing Very False and five representing Very True. Then ask students to select the statement(s) to which they have the strongest reaction, positive or negative, and write about their response. Afterwards, engage the whole class in discussion about the statements to which they have the strongest reactions. 1. America is a land of equality and opportunity for Americans regardless of their country of origin or their religion. 2. Arab Americans who are well integrated into American culture do not experience hostility because of their appearance. 3. The main reason Muslim women wear a head covering (hijab) or face covering (niqab or burka) is that they are submitting to a dominant male culture. 4. Students who feel that their civil rights are threatened must resist. 5. The Islamic religion advocates peace among all peoples. Read more about using the anticipation guide as a pre-reading strategy at 2. The Religion of Islam Have students brainstorm what they know about Islam and write their ideas on the board. Then ask them to read the brief article published by USA Today, Q & A on Islam and Arab Americans at islam.htm. Ask which of their ideas were supported and which were corrected. If students have remaining questions about Islam, consider a mini-research project in which pairs of students identify a specific question about Islam and research to answer it in a brief report to the class. A good source of information about Islam is the Al-Hewar Center for Arab Culture and Dialogue page About Islam and Arabs, Traditional Muslim Arab Dress It is interesting to note that most Arab Americans are not Muslim, and although most Arab Americans dress like other Americans, some choose to wear traditional dress ( tinyurl.com/y7nh9zqj). To deepen students understanding about reasons why some Muslim women wear traditional clothing, explore this topic with a variety of activities. First, have students read the information about Muslim dress presented in the BBC article What s the difference between a hijab, niqab, and burka? Ask students to respond in their journals to the questions: What are the differences among the various types of dress? Which are most similar to typical American dress? Follow this discussion by having students, either as a whole class or individually on their computers, read the article and look at the images of Muslim teenagers in traditional dress at tinyurl.com/ybdh6utt. Have them respond in their journals: What does wearing traditional dress mean to these young people? 3 3 Then have students read What is the Hijab and Why Do Women Wear It? from the website Arabs in America : arabsinamerica.unc.edu/identity/veiling/hijab/. Have them reflect in their journals: What type or style of dress is considered traditional for non-muslim women to wear in public in the U.S.? How does this style of dress compare with the traditional dress worn by Muslim women? Also show students images of Arab men wearing traditional dress. The site by ThoughtCo explains the rationale behind Arab dress as well as giving specifics about traditional clothing worn by Arab men ( Have students alone or in pairs read the brief article and examine the images of clothing. Have them answer in their journals: How does traditional dress for Muslim men conform to Islamic teaching? Finally, after reviewing the websites about traditional dress for Arab men and women, in a whole class discussion, ask: How is this traditional Muslim clothing similar to or different from the clothing typically worn in the U.S.? What are the reasons Arab women and men might choose to wear traditional dress? How might knowing these reasons change a non-muslim s response to people wearing this type of dress? 4. Wearing the Hijab and Dating in America Wearing traditional Muslim dress and engaging in social life in America can be complicated. Discuss briefly with students what might be some of the issues young Arab women who wear the hijab or other traditional dress face when going on dates in the U.S. Have students read the article 5 Hijabis Get Real on What It s like to Date When You re Muslim-American After students read the article, discuss: What were some of the experiences the young women had while on dates? How are some of these experiences similar to what non- Muslim American women might experience when dating? What advice would you give to young Muslim women who want to wear the hijab and have a social life with non- Muslims as well as Muslims in the U.S.? 5. Stereotyping and Prejudice Have students respond to this prompt in their journals: Have you ever felt that you were a victim of stereotyping or prejudice in any way? Free-write describing what happened, how you felt about it, and why you felt that way. After students have finished their writing, have them share their experiences either in small groups or with the whole class. Ask students to try to analyze why the stereotypes that students experienced occurred. Why do people form stereotypes and have prejudiced ideas about certain people or groups of people? Following this discussion, show the Ted Talk given by Nigerian writer Chimamanda Adichie about the danger of a single story ( Discuss with students: What were Adichie s experiences of being stereotyped? What were stereotypes that she personally held? Why, according to Adichie, do people form stereotypes? What are some of the stories that we have about American Muslims and Arabs that might lead to generalizations about them? What can we conclude is a good way of ridding ourselves of harmful stereotypes? Following this discussion, introduce the topic of stereotypes that are applied to some Muslim or Arab Americans through analysis of the NBC report Hope and Despair: Being Muslim in America After 9/11, by Aliyah Frumin and Amanda Sakuma (Sep. 11, 2016) available at Have students participate in a Jigsaw activity to enable them to read and hear stories about Arab Americans that offer different perspectives than the leading narrative about Arabs as terrorists. Assign students to eight-person Jigsaw groups. Assign each student to read and take notes on one of the eight stories of the Muslim Americans featured in the NBC report (the report on Guantanamo Bay can be omitted as being less relevant for this assignment). Then have students leave their group to join another group of students assigned to the same story and have them clarify the fine points of the story. Once everyone is clear about the details of the story, have students return to their eight-person Jigsaw group and tell their story to the group. Finally, have a whole class discussion: What were some of the experiences of Muslim Americans? What caused the negative reactions that they experienced? These stories all relate to the prejudice experienced by the subjects. What positive stories do you know about Muslims in America? If you don t know any positive stories, what does that suggest? For an overview of the Jigsaw strategy, see org/. 6. Recording Stories To prepare students to read How Does It Feel to Be a Problem? and to challenge stereotypes of Arab Americans, assign students to spend a week recording in their journals at least five instances of references to Arabs, Muslims, or Arab Americans in newspapers, newscasts, TV shows, or their daily routines. Students should note the content of what was expressed relative to the subjects and list the adjectives used to describe the persons and events. Also, analyze the attitudes the comments reflected about the subjects. Have students share pertinent findings in class and discuss their conclusions about the social status of Arabs, Muslims, or Arab Americans today. 5 5 4. How was detention in prison worse for Rasha than if she had been charged and convicted of a crime? 5. How did Rasha s detention influence her personal goals in life? 6. What did the report by Amnesty International in 2002 charge the U.S. government of violating? (p. 38) Does Rasha s experience validate these charges? 1. She hadn t been convicted. She had been abducted. This wasn t justice. It was revenge. (p. 26). 2. But as a detainee she had no idea when she would be let out. It was enough to drive her crazy (p. 30). 3. Now she realizes the importance of speaking out, of correcting the ills that befell her and continue to befall others (p. 43). Sami Sami is an Arab American Christian whose mother is from Egypt and his father from Palestine. Sami joined the U.S. Marines and served two tours in Iraq. After his service, Sami returned to Brooklyn and enrolled in college. 1. How do other Arab students respond when they see Sami s dog tags? 2. Why did Sami enlist in the army? 3. What factors contributed to Sami s growing commitment as a soldier? 4. What sympathy did Sami develop for the Iraqi people? 5. Why did Sami begin resenting the war in Iraq? 6. How did he feel about returning home to Brooklyn after his tour of service? 1. As his feelings of dread waned, his notions of kinship with the Iraqis were awakened (p. 63). 2. I don t support the war. But I support the men and women in the war (p. 74). 3. We re in my city. It s my city right now. This is my home! (p. 80). Yasmin Yasmin is a young Arab American, a practicing Muslim whose father is an Egyptian Muslim and whose mother is a Filipina Catholic. In high school, she was elected but barred from serving on the school government executive board when her religious principles conflicted with participating in some of the social activities required for office. She ultimately was elected as president of the organization. 1. What does the incident on the bus reveal about the American couple? About Yasmin? 2. On what grounds does the Coordinator of Student Affairs force Yasmin to resign from her office as Secretary? Do you think his position is reasonable and fair? Why or why not? 3. How did Yasmin fight to be reinstated? 4. What enabled Yasmin to eventually win her fight to run for executive office? 5. How has this battle shaped Yasmin s plans for the future? 1. According to popular perception, the hijab is the paramount sign of oppression, a small piece of cloth that holds the talismanic power to destroy Western civilization (p. 86). 2. She just couldn t accept that in the United States a Muslim girl would have to choose between her religion and her elected responsibilities (p. 95). 3. Contrary to what a lot of people think most of the racism in our society happens to the most vulnerable members in our public schools (p. 109). Akram Akram is a young Palestinian American whose life in high school changed after the 9/11 attack. He felt hurt by the anti- Arab sentiment that the attack provoked from students and teachers. After high school, he visited family in a small Palestinian town on the West Bank where he was confronted by Israeli soldiers. After completing college in Brooklyn, Akram plans to immigrate to Dubai where he hopes to be able to work and reconnect with his Arab roots away from the hostility he experiences in the U.S. 1. In what way is Akram s identity under siege (p. 118)? 2. Why did Akram s father immigrate to America? How did he survive and build financial stability? 3. How did the events of 9/11 affect Akram s life in high school? 4. Why did Akram wear the keffiyah (or hatta) in high school? 5. After 9/11, what happened in general to the social status of Muslim or Arab Americans? 6. What did Akram learn in his trip to the West Bank? 7. Why does Akram plan to immigrate to Dubai? 1. Most of the time, he laughs with his friends at these cartoonish representations, but behind the humor is the ache of an identity under siege. And so Akram is looking for a way to redeem his own sense of himself (pp ). 2. He resented the idea that the hatta and by association his culture and ethnic origin could be interpreted as hatred (p. 127). 3. The older I get, the more I realize that the violence isn t going to do anything. Education is important. Being educated about certain things. You have to do that instead of using violence (p. 142). 6 6 Lina Lina is an Iraqi American who weathered rebellion against her parents as a teenager. After two trips to Iraq, the loss of her mother, and difficulties with her stepmother, Lina emerges married, pregnant, and with a sense of identity and responsibility to her family. 1. What sanctions did the international community level on Iraq after its invasion of Kuwait in 1990? What effects did these sanctions have on the people of Iraq? 2. Why were Lina s immigrant parents forced to remain in the U.S. after her father s grant ran out in 1990? 3. What factors influenced Lina s rebellion in high school? 4. How did Lina s behavior change with Daniel as her boyfriend? 5. Why did Lina s parents send her to stay for a year in Ramadi, Iraq, and what happened to her while she was there? 6. How does marriage affect Lina? 1. It s not like I looked much different but they see that your skin tone is not white, that it s like a yellowish color. And they just judge you right away (p. 157). 2. She wasn t really going anywhere. But at least she felt so much closer to God, absorbed by His presence, as if her own ego were disappearing (p. 166). 3. What happens when your homeland is in the process of disintegrating in front of your eyes?...you build your own destiny from your American home while keeping one eye open to that which has been lost. And while your American life largely takes over, you still live somewhere between geographies, as you have for most of your life (p. 184). Omar Omar, an Arab American whose father is Palestinian and his mother Chilean, has a bachelor s degree in communications. He served a formative internship with the Al Jazeera global Arabic news channel, and he wonders if that experience is preventing him from finding work in American media. 1. What evidence is there that labor-market discrimination against Arab Americans exists in the U.S.? 2. What was the effect of the events of 9/11 on Omar personally? 3. Why was the internship at Al Jazeera so important for Omar? What were some of the skills he developed there? 4. What sort of stereotypes did people have of Al Jazeera? 5. What is the contradiction Arabs and Muslims face when they apply for work with the FBI or the DEA? 6. What factors besides prejudice could account for Omar s lack of job offers in the media industry? 1. Since we literally have no country the only thing we have is our identity, and it s important to me, as the oldest son, to preserve that identity (p. 190). 2. I love this country, I really do. The opportunity. You can make money. I only hate its foreign policy (p. 214). 3. And that s where Omar is now. In a place shared with many others like him, a place where you just don t know how much power to attribute to contemporary prejudice. You know it s out there, but that doesn t mean that it has landed on you (p. 217). Rami Rami is a Palestinian American who, after his father s arrest and imprisonment, becomes more committed to worshipping God and practicing Islam. 1. What influenced Rami to deepen his commitment to Islam? 2. How did Ezzat influence Rami? 3. According to Ezzat, what is the proper Islamic view of terrorism? 4. How does Rami s group intend to bring back the true Islam? In other words, how will true Islam come about? 5. What does Rami gain from his trip to Jordan? 6. What is the Islamic concept of da`wa, and how does Rami practice it? 1. When it involved the Qur an, his concentration came easily. The words flowed over him, enveloping and calming him (p. 228). 2. Rather, the solution they sought lay in teaching Muslims the true Islam, in bringing back the true Islamic morality to the umma (p. 238). 3. [Many] pious French Muslim women attempt to render themselves visible to the world at large by donning the hijab or praying out in the open while at work or at school. They do so in an attempt to mark and claim a presence in the public sphere (p. 245). 7 7 ACTIVITIES DURING READING 1. Arabic Homelands Assign small groups to research the Arabic homelands for each of the subjects of the portraits (Rasha Syria; Sami, Akram, Omar, and Rami the sovereign State of Palestine and the West Bank); Yasmin Egypt; Lina Iraq). Presentations should cover topics such as: geographical location, recent history (since WWII for example), cultural traditions (family and religious customs, artistic contributions, and other), and contemporary issues (governance, domestic advances and problems). Encourage students to present their findings with plenty of images from the Web. Students can refer to the CIA World Fact Book ( resources/the-world-factbook/), the World Atlas ( worldatlas.com/), and One World-Nations Online ( as well as other reliable sites for their research. Ask students to complete the following chart as they listen to student presentations. Geography; % of Muslims in the population Recent history Cultural traditions Contemporary Issues Rasha Syria Sami, Akram, Omar, and Rami the sovereign State of Palestine and the West Bank Yasmin Egypt Lina Iraq Students can add an extra column for interesting information they find during their research or ideas for follow-up research projects. 2. Mapping Coming of Age Each of the people in the portraits shows a pattern of growth in understanding and maturity as they narrate the experiences of their lives. Assign students as they read the narratives to trace this pattern of growth often described in literature as coming of age in a visual diagram for the lives of one or more persons. Note: Teachers might choose to model a diagram for one of the first portraits. However, students will tend to be more creative in their designs if they are given free rein to visually render the growth of the person. Another way to consider the coming of age of each of the people portrayed is to identify the stages of their change and maturation. Some educators divide the process of coming of age into three stages: Separation: when the person is removed in some way from the physical or emotional center of their family and friends Transition: when the person undergoes a testing, a questioning of values and beliefs Reintegration: when the person is reunited with their family and friends and is aware of having learned from their experiences or having developed a new sense of themselves and where they fit in the family and community Ask students to analyze each portrait to identify these stages in the individual s life, providing concrete evidence for their choices. 3. Gender Responses Bayoumi alternates female and male narratives/portraits for most of the book. Ask students to create a two-column graphic organizer, labeled Male and Female, and to note as they read each person s motivations, the challenges they face, and their coping strategies for meeting their challenges. After students have read several portraits, discuss as a class: What are the differences in the types of challenges and the choices made by the subjects of these portraits based on gender? What accounts for their different responses? Is one gender more limited than the other? Explain your answer. 8 8 POST-READING ACTIVITIES TOPICS FOR DISCUSSION AND ESSAYS 1. Compare or contrast two of the subjects whose lives are presented in this book. How are their lives similar or different? What factors have been the cause of these similarities or differences? What has each person done or what choices have they made to face the challenges in their particular situations? 2. What are the factors that cause people to leave their homeland and seek asylum or a better life in another country? Choose one of the individuals portrayed in the book and outline the reasons why he/she is in the U.S. What choices were made? What problems did parents hope to overcome? How has the situation turned out mention both positive and negative results and why? 3. Identify which of the persons that are interviewed are practicing Muslims. Describe their level of involvement in the practices of Islam. What factors in their lives have influenced their religious beliefs? 4. Compare the various ways that two of the subjects coped with the pressures of high school. Do you agree with the choices the individual made? Why or why not? How might you respond if you faced similar pressures? GROUP AND INDIVIDUAL PROJECTS 1. Individually or with a partner, choose one of the portraits and analyze its structure. How is the portrait organized? What type of content is included and in what order? List the questions that the subject of the portrait answers. Then use these questions to interview a member of a minority group in your school community or outside of school. Finally, write a portrait of the person that you interviewed that reflects the structure and content of the portrait you chose to analyze. You may choose to add photos that add visual information about the person. Remember to get permission from the subject to share their portrait with your classmates. 2. In the New Afterword for 2018, the author discusses how anti-muslim sentiment has continued to worsen after Assign pairs of students to read the New Afterword and respond to the questions: What were the various ways that the civil rights of Muslim Americans were attacked during the period from 2008 until 2016? How did President Trump contribute to the increase of Islamophobia in the country? Evaluate the author s argument for hope. Do you share his guarded optimism? Explain why or why not. 5. 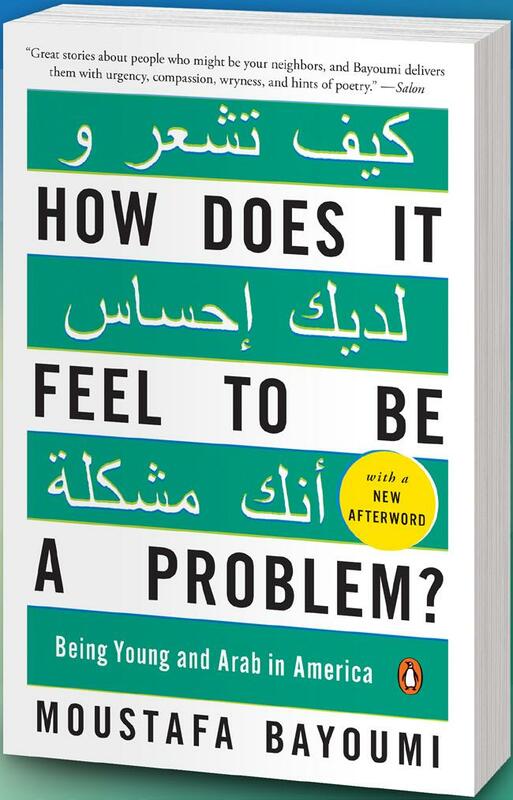 Based on the portraits you have read, discuss how one of the subjects might answer the question of the title of this book: How does it feel to be a problem? Take into account the person s sense of being respected or discriminated against and how they attempt to respond to their situation. 6. The children of immigrants may experience dissonance between their parents cultural values and the cultural values in which they are immersed in America. Have students choose one of the subjects of the portraits and analyze the relationship the subject has with his or her parents. Questions to consider include: What are the areas of harmony and conflict in the family? What are the main factors that affect relationships in the family? If conflict has arisen in the family, to what extent has it been affected by differences in cultural values of the family members? In what way has conflict been dealt with? And if the conflict has been resolved, how satisfying is the resolution to the different family members? 3. 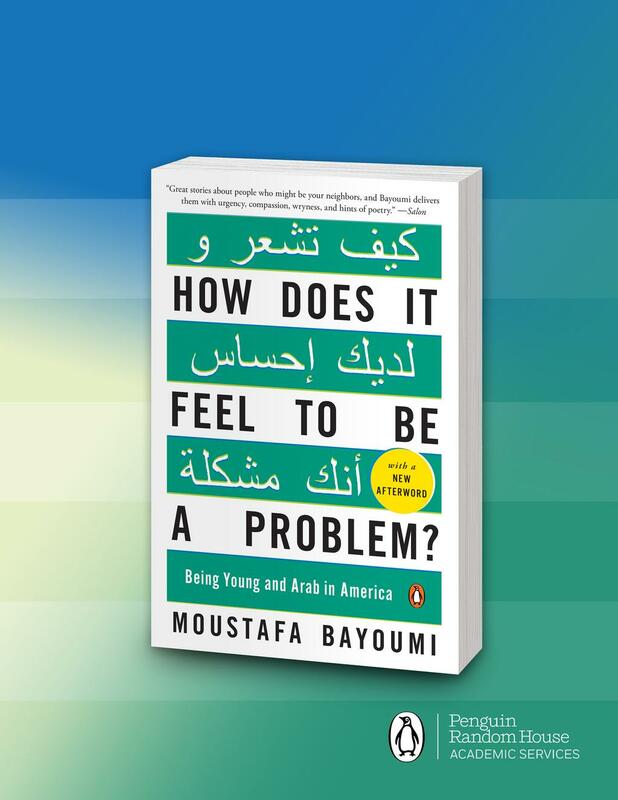 Have students read the author s discussion of sanctions in A Conversation with Moustafa Bayoumi (pp. 4-5) and in Lina s portrait (pp ). To help students deepen their understanding about sanctions, ask them to read the article What Are Economic Sanctions by Jonathan Masters at The different sections of the article can be assigned using the Jigsaw method. After students have discussed the article in small groups, engage in a whole class discussion, using the following questions: What is the purpose of international economic sanctions, and what evidence is there that they are effective? What are Masters ideas about when sanctions are effective and when they are not? 4. Involving students in service learning projects or experiential learning is a great way to broaden their understanding and acceptance of others. Have students contact the Imam of a local mosque and plan a class visit to the mosque at a time when they might meet members of the congregation to discuss their experiences of attending public schools. Alternatively, the students could invite the Imam to visit their class to discuss possible community projects they could engage in with the Muslim community. 9 9 5. Engage students in evaluating how well their school responds to the unique needs of Arab American or Muslim students. Assign the class to read Arab American Students in Public Schools posted by the Arab American Anti- Discrimination Committee, arab-american-students-in-public-schools/. In groups, have students build a questionnaire to learn how responsive their school is to these students. Based on the article, students should formulate questions exploring their school s philosophy and procedures regarding school climate, the elimination of prejudice and discrimination, staff development, course content including textbooks, and communications with Arab and Muslim students. As a class, discuss the input of all the groups to develop a single questionnaire. Then assign pairs of students to interview different members of the school community using pertinent sections of the questionnaire. Once the interviews are completed, have students present their findings to the class in each of the areas. The findings can be summarized and then delivered to the appropriate school administrators, counselors, librarians, or teachers. Plans of action can be developed to solve any problems that are discovered. 6. The website of the Arab American Institute ( aaiusa.org/) is an excellent resource for learning more about Arab Americans. As a research project, have students go to the tab Arab Americans and click on Famous Arab Americans. After reading the descriptions of Arab Americans in politics, sports, business, law, and entertainment, ask students to choose one person for further research. They can prepare a two or three-minute presentation using PowerPoint or a similar program that illustrates their subject s contributions to American society. 7. Some recent films have focused on the situations of Arabs and Muslims in America and the stereotypes they must deal with. Have students apply the film analysis guide from the Library of Congress using an Observe, Reflect, Question process ( as they view one or more of the films listed below. Reel Bad Arabs: How Hollywood Vilifies a People directed by Sut Jhally and narrated by Jack Shaheen, author of the book of the same name, analyzes stereotypes of Arabs in films from the early days until now. The documentary also explores the motivation behind these stereotypes and connections with American history (available on YouTube: The Arab Americans shows the history of Arab immigration to the U.S., the contributions of Arabs to American culture, and the impact of 9/11 on the Arab American community (DVD available at Shop PBS, ARAM402, price: $28.99). American Arab by Usama Alshaibi reveals the racism felt by Arab Americans and shows the complexity of the Arab American people (available through Amazon, rental $3.99, purchase $14.99). ADDITIONAL RESOURCES FOR TEACHERS Websites Arab Cultural Center includes essays on depictions of Arabs and Muslims in Western media; Ms. Marvel, a Muslim Arab American superhero; and commonly asked questions about Arab culture. Arab American Institute a national leadership organization created to promote the Arab American participation in politics and civic life, includes links to lists of famous Arab Americans and position papers regarding the criminalization of Arab Americans. Arab stereotypes and the American educator org/2009/11/arab-stereotypes-and-american-educators/ discusses stereotypes among educators and their effects on children. Political cartoons and stereotypes at education/educational-resources/ link to a PowerPoint presentation that fosters discussion of how political cartoons present stereotypes. Teachers can focus on a few of the more relevant cartoons for discussion. Related Films The Big Sick, directed by Michael Showalter and starring Kumail Nanjiani and Zoe Kazan, is a comedy based on a truelife romance between an interracial couple who deal with cultural differences. This Amazon original movie is available on Amazon Prime or DVD for $ Detroit Unleaded, directed by Rola Nashef, is a romantic comedy showing the conflicts that arise due to different cultural traditions while dating in America. This film is available at Amazon Prime or DVD for $9.99. TED Talk of el Seed s Project of Peace, Painted Across 50 Buildings, ( includes images of the murals by this French-Tunisian artist. Laila Lalami on Hope and Immigration ( com/watch?v=2jau_nly6tg) discusses how similar Morocco and Mexico are as way stations for immigrants to Europe and the United States respectively and how she was inspired to write about the immigrant experience. 10 10 Related Books Hope and Other Dangerous Pursuits (2005) by Laila Lalami, is a collection of short stories about four Moroccans who try to immigrate to Europe by crossing the Straits of Gibraltar to Spain in a lifeboat that capsizes near the shore. The stories present the lives of the four immigrants before, during, and after their attempt and shows their motivations as well as eventual fates. Through and Through: Toledo Stories, 2nd edition (2009), by Joseph Geha, presents stories of an extended Arab American family in a Lebanese and Syrian community in Toledo, Ohio. Dinarzad s Children: An Anthology of Contemporary Arab American Fiction (2009), edited by Pauline Kaidas and Khaled Mattawa, describes the various experiences and challenges of immigrant life in America. The Inheritance of Exile: Stories from South Philly (2007) by Susan Muaddi Darraj explores intercultural and intergenerational conflicts experienced by Arab Americans. ABOUT THE AUTHOR OF THIS GUIDE James E. McGlinn, Professor of Education, Emeritus at the University of North Carolina at Asheville, has taught high school English and developmental reading at all levels, elementary through adult. His current interests focus on teaching English as a second language to adults. He is the author and editor of numerous Penguin Teachers Guides. ABOUT THE EDITORS OF THIS GUIDE Jeanne M. McGlinn, Professor in the Department of Education at the University of North Carolina at Asheville, teaches Children s and Adolescent Literature and directs the field experiences of 9-12 English licensure candidates. She has written extensively in the area of multicultural literature, including numerous teachers guides and a critical book on the historical fiction of adolescent writer Ann Rinaldi for Scarecrow Press Young Adult Writers series. Tami Craft Al-Hazza, Associate Professor of Language, Literacy & Culture at Old Dominion University, has lived and taught extensively in the Middle East and focuses much of her writing on incorporating Middle East literature into the American classroom.